Purchased by second owner in November 1996. This car represents the embodiment of Porsche development. Take a fine product, and hone it to perfection. 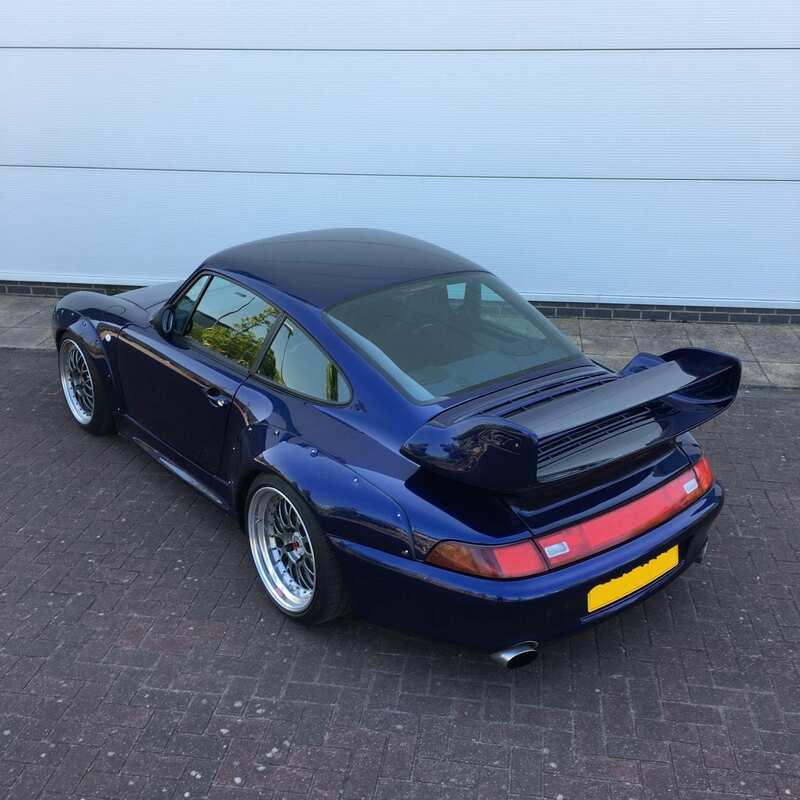 Tech 9 are very proud to offer this car for sale, as one of the most developed and capable Air Cooled 911 models that we have ever produced. Stunning attention to detail, every aspect of this car has been considered. 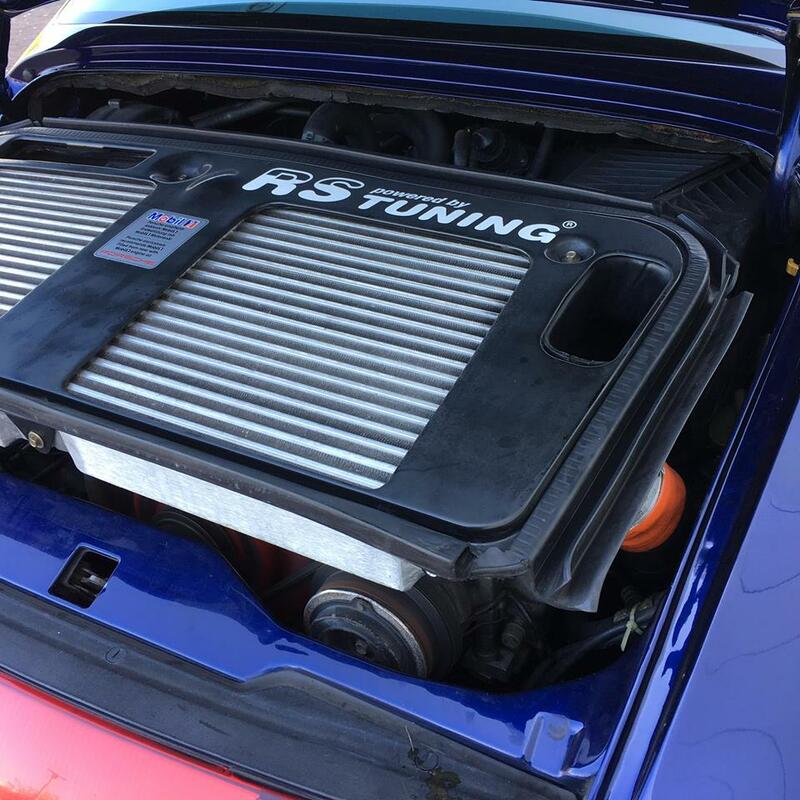 The fastidious owner questioned every detail of the car in their quest – Can we develop each element to improve performance ?, either with increase in power ?, or reduction in weight…. The work of art that we present for sale, is the result of that quest. 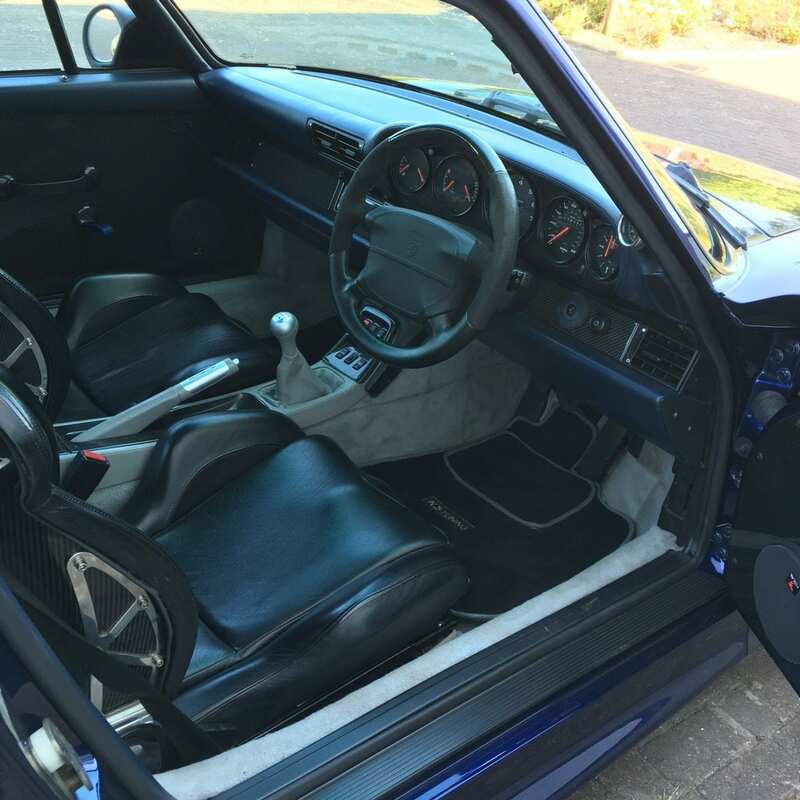 Read carefully through the script and enjoy the level of attention that has been lavished on this car. The performance is incredible. Brand new factory non sunroof roof installed. Gutters removed and lead fillered. DP Motorsport Merkalon rear window installed with high level brakelight. Bonnet and doors Carbon TUV approved from Techart. 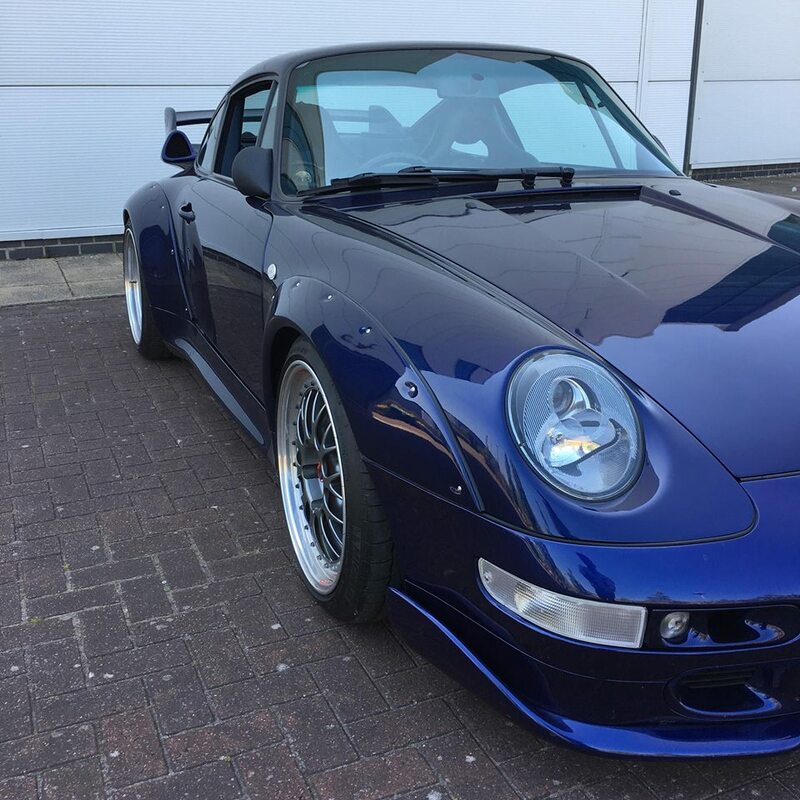 GT2 bodykit from FVD manufactured by Fokker (OEM manufacturer for Porsche GT2/RSR). Front spoiler lip from FVD. Techart front foglight/air intakes (not plumbed in for brake cooling). Rear lights and reflector new. RST carbon pod side mirrors. 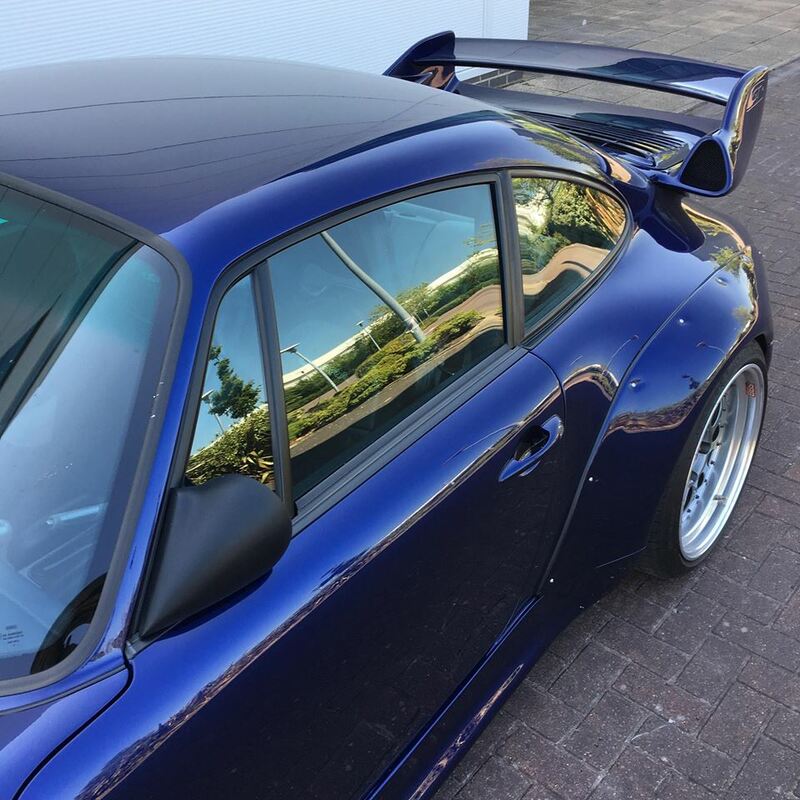 New paint original Iris blue, very high quality, wrapped before any mileage at front and rear arches by Paintshield. 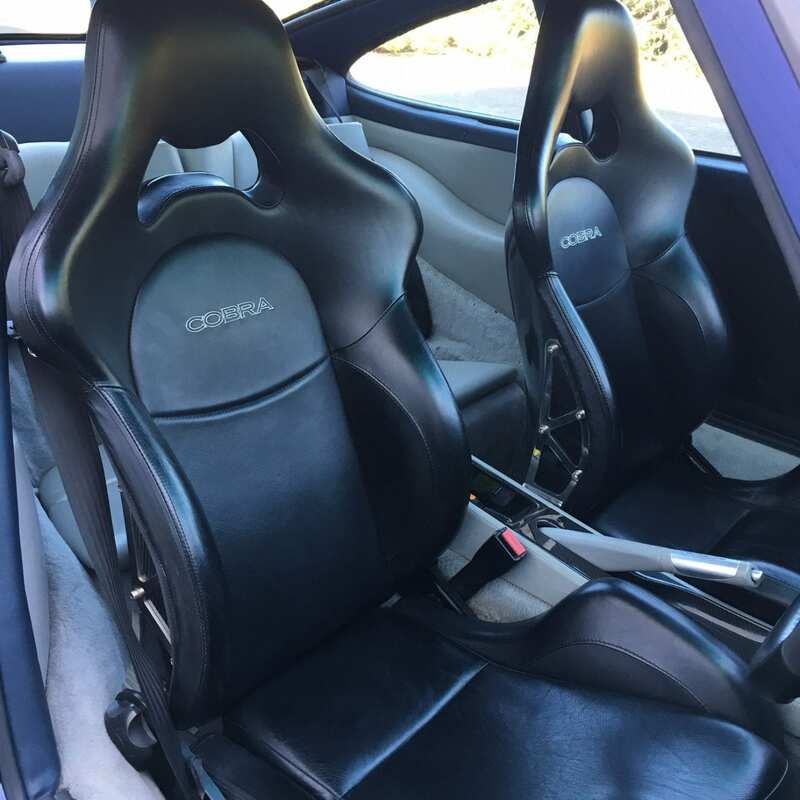 Cobra Misano black leather reclinable seats, lightest reclinable seat available. Techart four spoke smaller than factory steering wheel in leather/alacantara/carbon. Full carbon dash and carbon door cards with blue RS/GT2 hand pulls on doors, aftermarket speakers in front doors. Boost gauge mounted “ricer style” bottome of right hand front pillar. Davtron IAT gauge and boost gauge in central lower pod. Music player/radio of the mid 2000s. Roof lining and pillars fully reupholstered in blue leather during bodywork job. 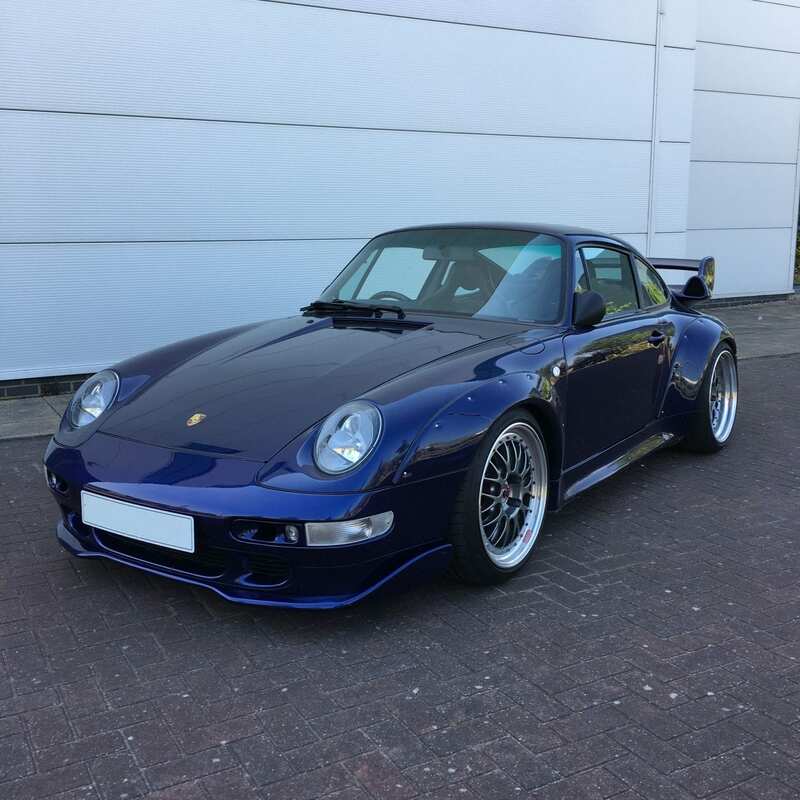 Full Turbo S/Weissach Turbo Sport chassis installed and maintained (as original parts worn) cost £8000. BBS Motorsport E88 with aluminium centres, exact same size as factory GT2. 9s and 11sX18 fitted with 225/285 New Michelin PS2s N4 (original turbo sized tyres). Wheels were fully anodised and painted centres so they can actually be used on the road. Built by Reinhold Schmirler (The most accomplished Air Cooled Turbo engine tuner in the World) completed August 2006. RST EVO mechanical cams with new valve train. Boost max 1.2/3 bar at peak torque, 1bar at peak power. HC @2500rpm = 11ppm Lambda @2500rpm = 1/02. This is a very low emissions engine. Weight ~1460kg with full tank. Vmax200 speed, 201mph on rev limiter @7060rpm. 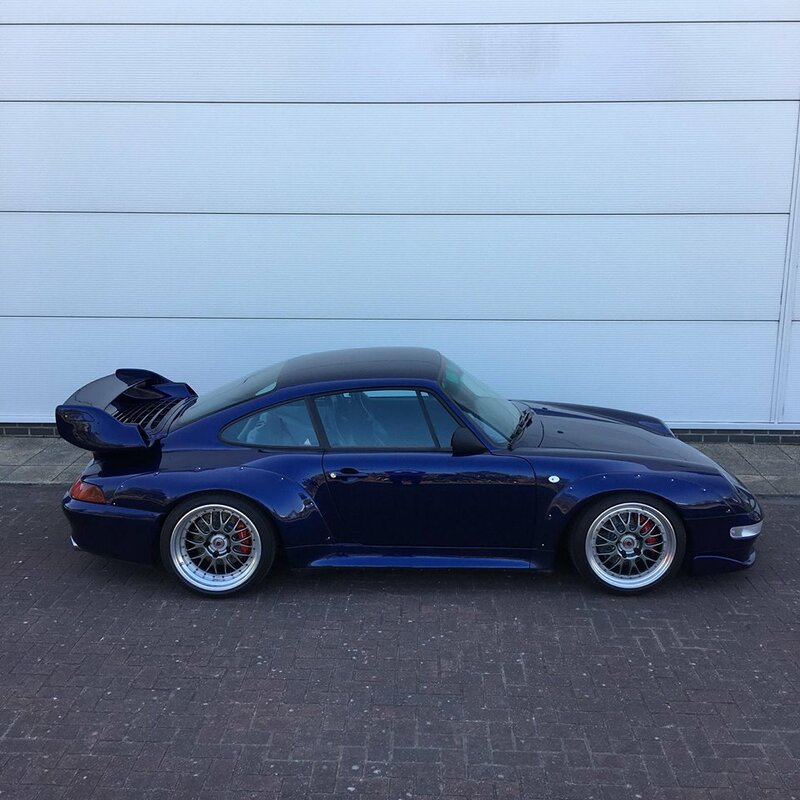 The car drives like no other 993 turbo because of the combination of light weight, S chassis (with the Bilsteins giving more sophisticated ride) and of course the incredible powerful and responsive engine, it will put most of its torque down in second gear with the rear tyres at the edge of traction but being assisted by the 4WD mechanism.